"Fast-paced and gripping, this is an unusually lucid staging of a bloody history play"
"Brutal, compelling, and shrewd, this is American Shakespeare at its most epic and alive." "Disorientation may be the ideal way to liberate an audience. 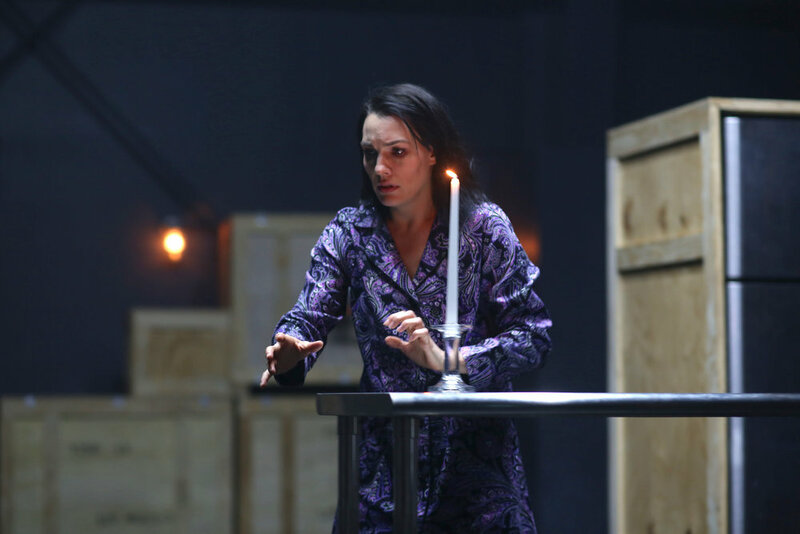 In his bold vision of Macbeth, director Stephen Brown-Fried uses surprise to help viewers see the play anew. Northern Stage's production is not merely a modern-dress spin on a classic but a novel way to experience its emotional depth." "Director Stephen Fried’s fine-tuned production maintains a riveting naturalism. Whether the characters are the central focus, or off to the side just listening, there are no false moves here." - ROMA TORRE on AWAKE AND SING! "Richard does not work without a director who is keenly aware of the villainous intricacies of Shakespeare’s first outstanding drama, and an actor able to embody the “deformity” of the play’s antihero. Brown-Fried and Blake Hackler fill both requirements admirably." "In a year in which it seemed that everyone was staging the already played out MUCH ADO, Stephen Fried created the most original, warm and completely straightforward masterpiece of the season. Everything from costumes and sound to selfless, ensemble acting was top-notch and adoringly crafted. It is not often that this admittedly jaded―some might say snobby―reviewer is given chills and brought to tears of delight during a play. I practically levitated from the enchantment of this show, and I do not think that I was alone in that sentiment." "Stephen Brown-Fried is a brilliant director from classics to contemporary work. But with Shakespeare he reveals the purest balance between master distiller and amazing alchemist."